In Wanikande in Okpoma, a prominent member of the All Progressives Party, APC, and a former governorship aspirant, Dr. Julius Okpotu, also decamped to the Peopleâ€™s Democratic Party, PDP. 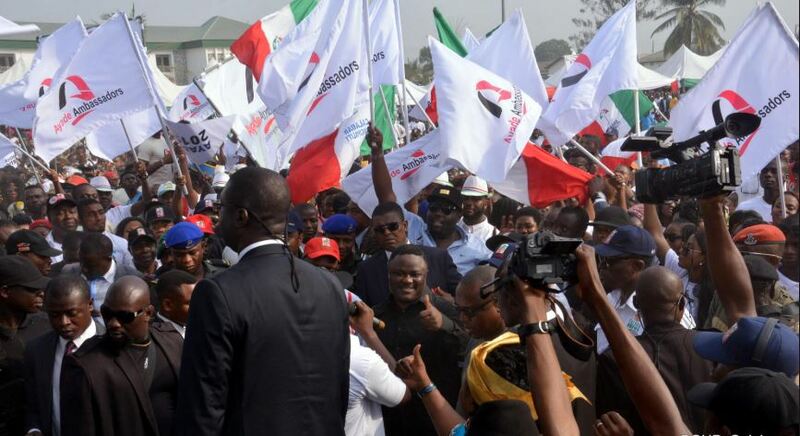 Chanting solidarity songs, the enthusiastic crowd, in appreciation of Governor Ben Ayadeâ€™s developmental strides, vowed to protect their votes for the governorâ€™s return. At the Ogoja township stadium, an overwhelming crowd of supporters who waited into the night to welcome the Governor burst ecstasy upon his arrival. An obviously elated Ayade who spoke after some dance steps said: â€œI thank you for your patience as only the Ogoja people can come together in dark.